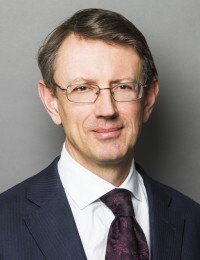 Much of Michael’s work involves occupational pension schemes. His litigation practice includes regulatory litigation (FSDs and CNs), issues of interpretation of statutes and scheme rules, and claims for rectification of scheme rules. He frequently advises insurance companies and Sipp providers on tax and regulatory issues. Representing the BBC in the Court of Appeal in Bradbury v BBC  – – an ombudsman appeal arising out of a benefit re-structuring which involved SWT-type contracts. Appearing for the claimant in Granada Group Ltd v Law Debenture  – case about the potential application of section 320 CA 1985 to directors’ top-up pension arrangements. Representing the trustees of a group within a utility pension scheme on a claim for a section 75 debt due on an employer cessation event (settled shortly before trial). and also Betafence v Veys ; Pitmans Trustees v The Telecommunications Group; AGCO v Massey Ferguson Pension Trustees (CA); Re John Holt Pension Scheme; Bradstock Pension Trustees v Bradstock and Redrow v Pedley. Michael has also appeared in many unreported applications for trustee directions or compromises. He advises The Pensions Regulator, The Pension Protection Fund and the FSA on technical pensions issues. An important part of his practice involves advising on and conducting professional negligence litigation arising out of erroneous advice and drafting.